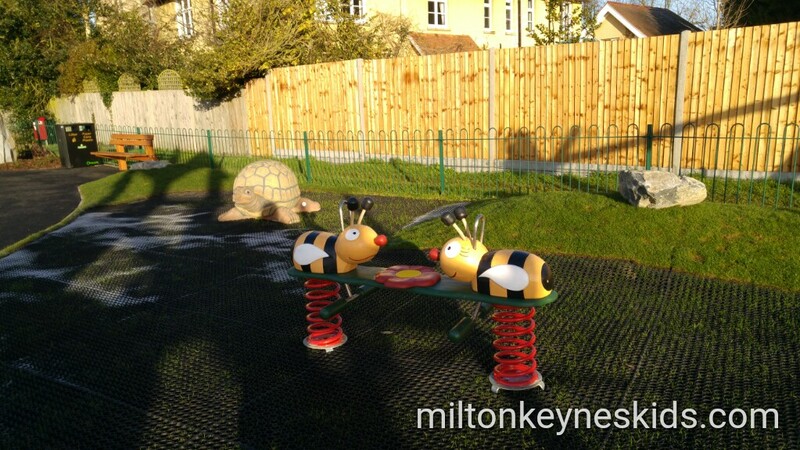 There’s a new park in Wavendon in Milton Keynes. 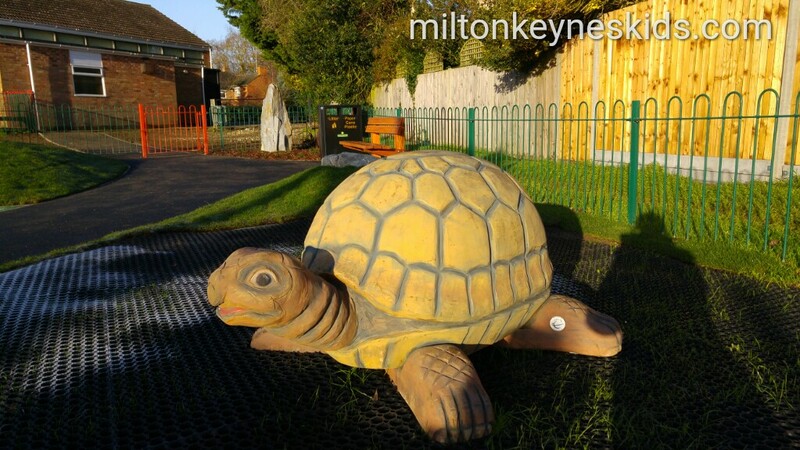 There’s a really good climbing frame with a slide, normal swing and baby swing and, tortoise to stand on. 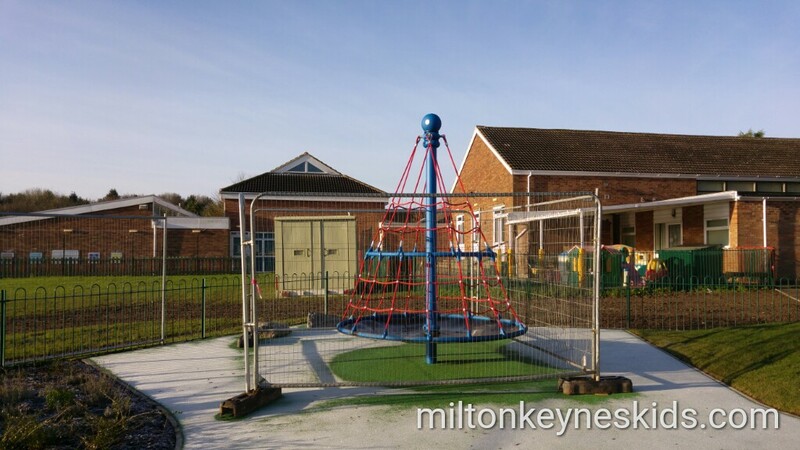 There is also a cone shaped climbing frame – although that climbing frame was fenced off when we went. 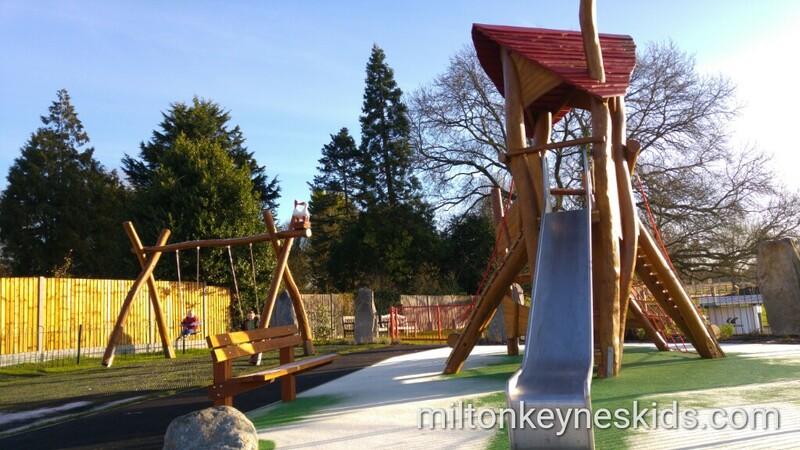 Behind the main park area there’s also a wooden assault course. 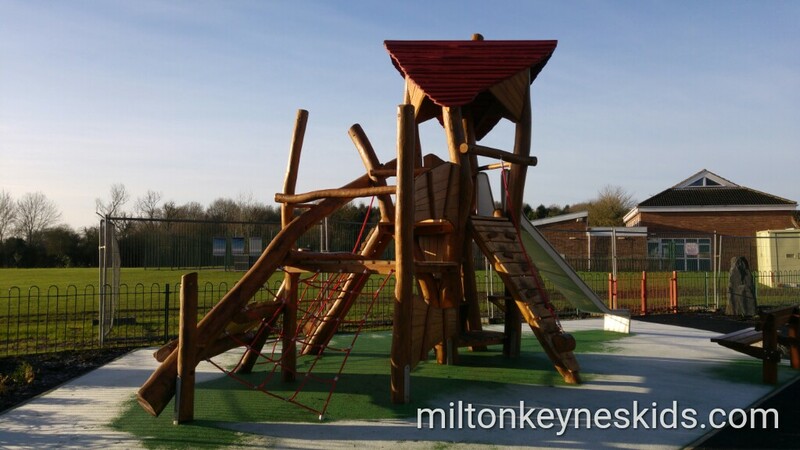 My 3 year old loved the climbing frame and there was a good amount of space to run around as well. I wouldn’t say there’s a huge amount for under 2s unless they’re already really good climbers, or perhaps have an older sibling with them. 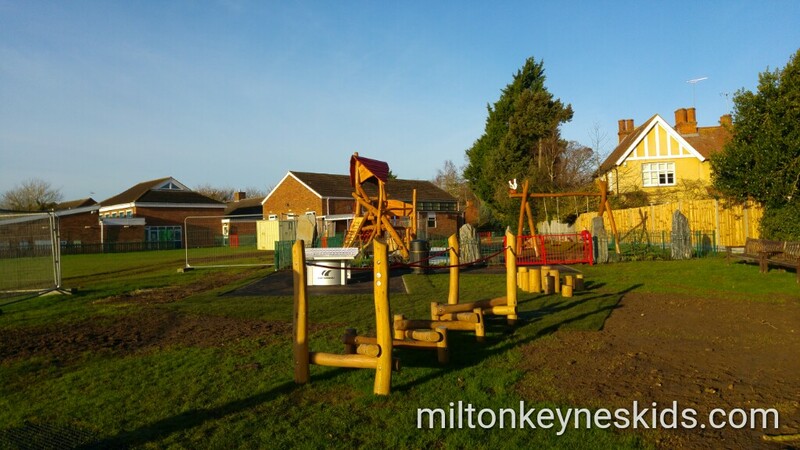 It’s located behind the community centre / St Mary’s School and was opened just before Christmas. The car park is used in the week for the school and I assume at weekends people using the community centre may use it, so be prepared to park on the road. 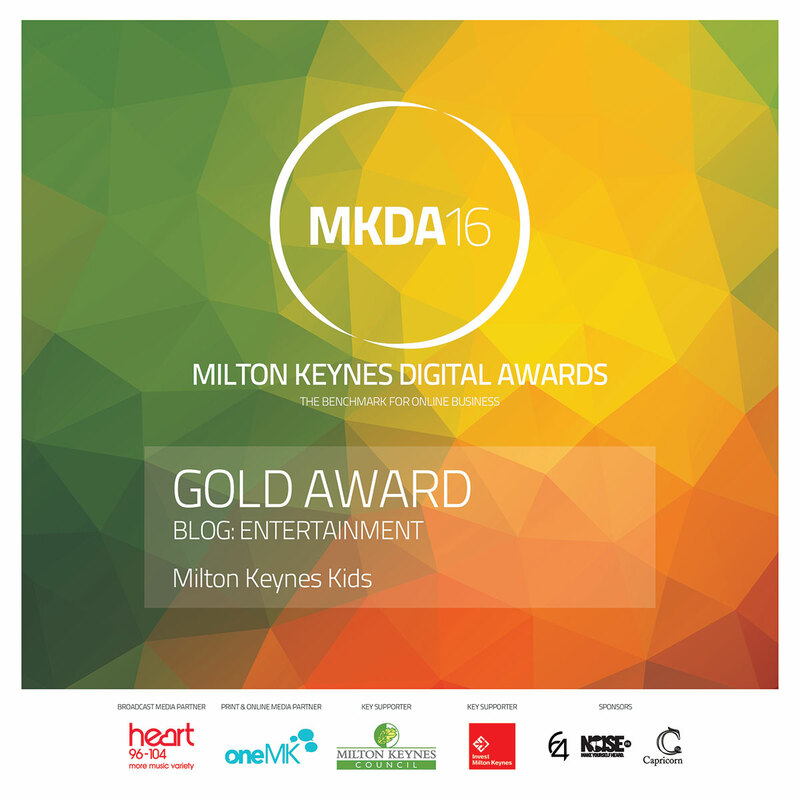 The best postcode to get there is MK17 8LH. It’s worth a visit if you’re in the area. 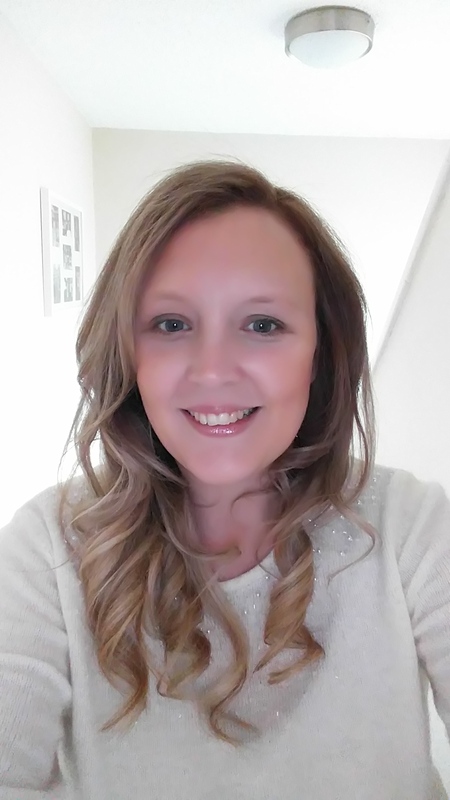 If you get chilly and you have young children then perhaps head to Wyevale Garden Centre which is walkable or a couple of minutes in the car – there’s a cheap, small soft play there. If you want to visit more good parks then check out the parks section on my blog.